Boeing got the contract of 35 millions dollars, of 179 supply aircraft, on February 24, 2011. On February 24, 2011 corresponds to 7°59′ of Aquarius. 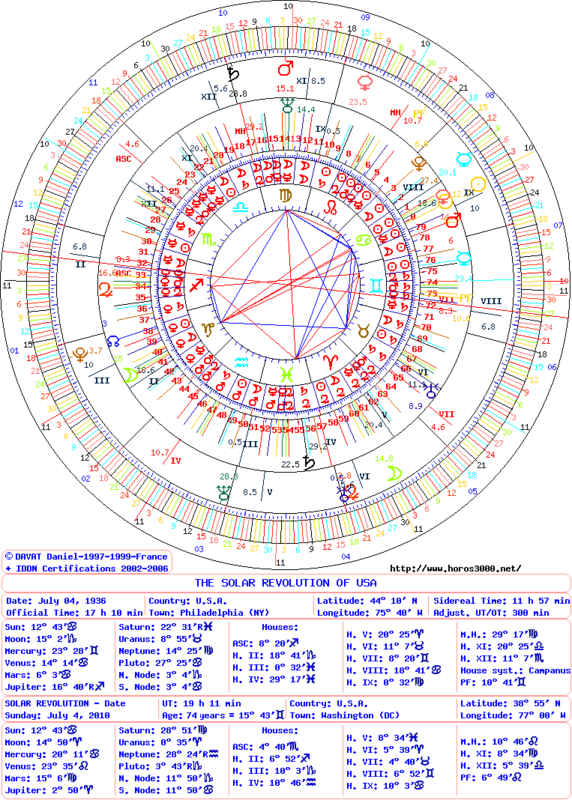 This degree is into House II, that of money, with a sextile aspect of the transit of Jupiter (6°47’of Aries and of Beneficent quality) and with a trine aspect with the native Part of Fortune (10°41′ of Gemini). These happy aspects have both an analogy with money and success. On February 24, 2011 doesn’t change of position (7° of Aquarius). This degree is into native House II and it has a conjunction with House IV of SR, that of the native country. 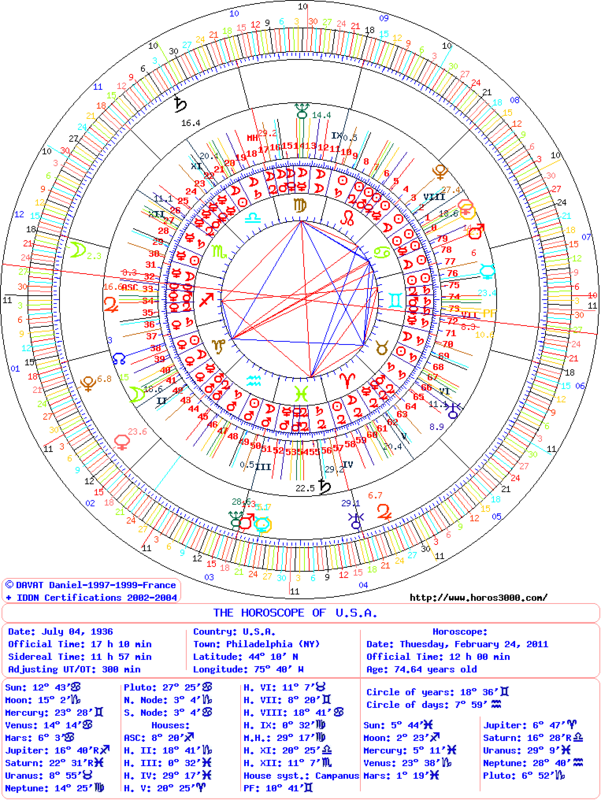 This astrological position has an analogy with a financial gain (House II) get with the national priority (House IV). This entry was posted on Wednesday, August 8th, 2012 at 2:58 pmand is filed under Finances. Both comments and pings are currently closed.